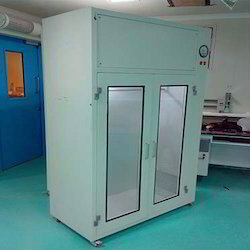 We are offering Garment Storage Cabinet to our clients. Thickness: Full 0.6 mm - 1.5 mm. 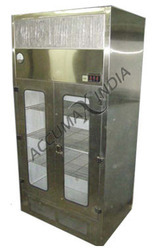 Usage/Application: Used to keep clean room garments, tools, wipes. By setting quality benchmark in our offered range of Clean Air Garments Cabinet, we have backed for ourselves a noteworthy position in the market. Due to our years of expertise in this realm, we are readily affianced in presenting an exceptional quality variety of Garment Cubicle.